Home-made butter is incredibly easy to make but sounds rather impressive. 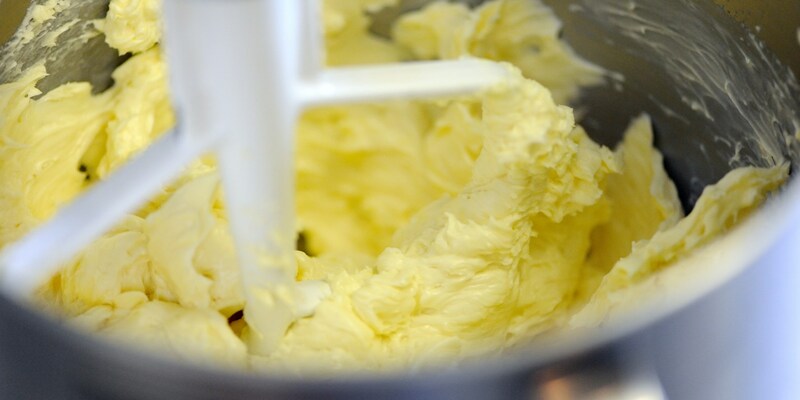 Butter begins by over-whipping cream which can be done with an electric mixer. Making your own butter allows you to add any flavouring you desire, so get creative. Unsalted butter should be eaten within a few days while adding salt to your butter (which acts as a preservative) allows it to be stored for around 2–3 weeks. You can use any amount of cream – you will get about half the amount of butter compared to the amount of cream initially used. For ways to use up the buttermilk, see our guide to cooking with buttermilk. For Example, you can use it to make Shaun Hill’s buttermilk pudding, Greg Malouf’s buttermilk panna cotta or Adam Bennett’s wholemeal soda bread. Home-made butter can also be flavoured with a range of ingredients, such as tarragon and parsley, brandy, cider salt and lemon. Once you find your favourite flavouring, you can easily portion the butter and freeze it to use as a quick addition to Sunday roasts or other meals.